0 Comments Published by Cedric Benetti on Thursday, September 30, 2010 at 9/30/2010 10:05:00 PM. 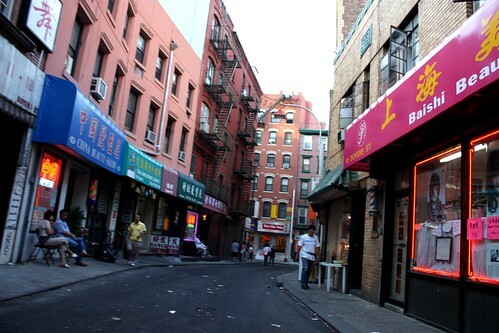 Doyers Street in Chinatown is called The Bloody Angle because of its history. 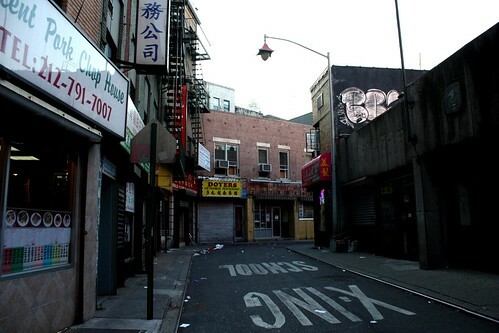 The sharp corner of the street creates a bent triangle with Pell Street and The Bowery , which are the two terminuses of this single-block street. 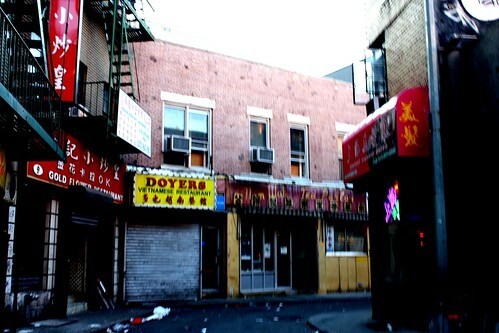 The street witnessed a remarkable number of shootings among the gangs of Chinatown between 1870 and 1930. It was ideal for street battles not just because of its angle but also because of the tunnels that connected the buildings.